Were you born under the sign of Imaginarius? Me, too! 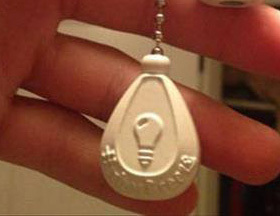 A light bulb overhead is the ancient symbol of our star sign. The sign that is most compatible with Imaginarius is Imagemini and the least compatible is Skeptio. Looking for someone playful who enjoys sleeping and at times seems aloof and expects to be treated like royalty? Then Meo is the sign for you. Those born under the sign of Meo will reward you with affection if you can overcome their initial anti-social behavior. Forgot to mention just how frisky a Meo can get. When it's "playtime" be sure to bring plenty of "toys".